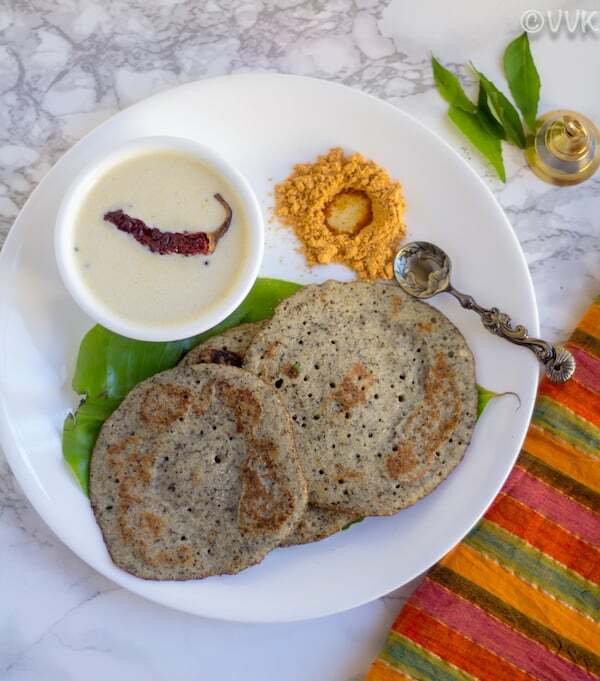 Azhagar Kovil Dosai – A popular savory crepe/dosai prepared with raw rice and black gram dal. This dosai is served as an offering to Lord Vishnu / Azhagar and hence the name Azhagar Kovil Dosai. 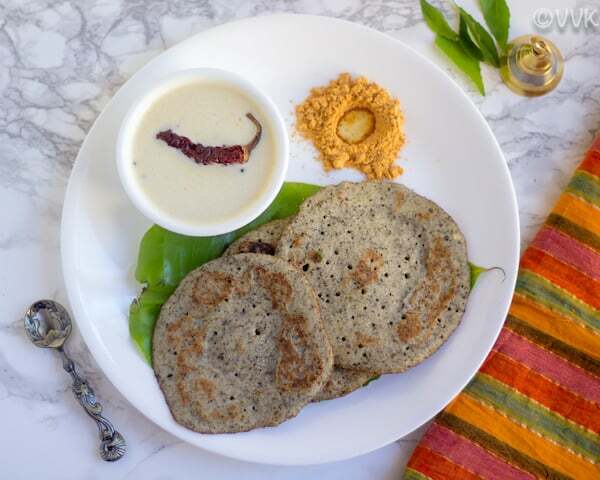 Check out the detailed recipe of this Azhagar Kovil Dosai with step-wise pictures below. Azhagar Kovil or Alagar Koyil is a small village in Madurai, and it is known for its Kallazhagar / Vishnu Temple. It is one of the 108 Divyadesam dedicated to Lord Vishnu. And this dosai that I am going to share today is served as the prasadam in this temple. Dosai as kovil prasadam is not uncommon. 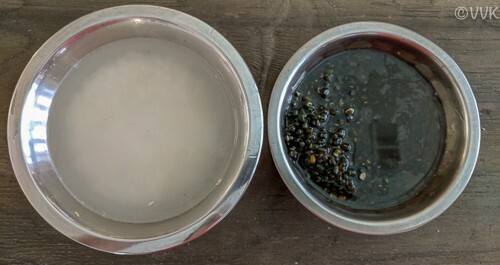 Many Vishnu temples like Kanchi Varadharaja Perumal temple, Singa Perumal Temple, Narasimha Perumal Temple, and Srirangam Ranganathar Perumal Temple serve dosai as prasadam in their unique style. The Srirangam temple dosai is known as sambara dosai. 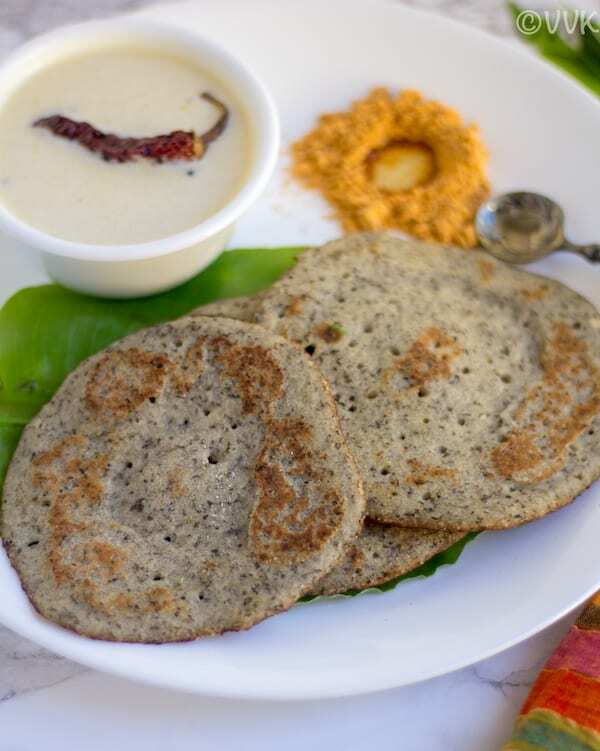 The Temple dosai or the madapalli dosai is always made with raw rice, and the same goes with this dosai too. Also, we make fresh rice flour with raw rice and then mix it with the urad dal batter. 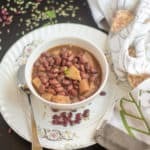 The other key ingredient is the black gram dal or karuppu ulundu which has impressive health benefits. 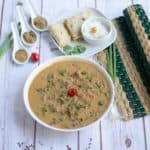 I have quite a few recipes lined up with black gram dal so tuned for those recipes. 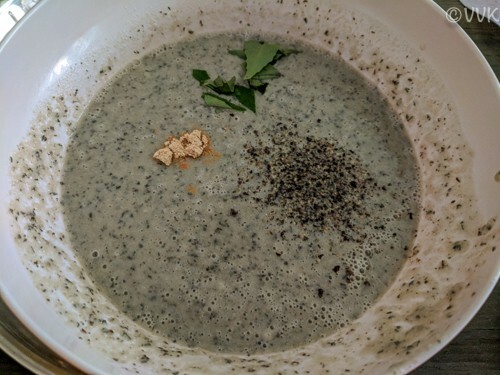 I will explain the benefits of black gram dal in my upcoming posts. 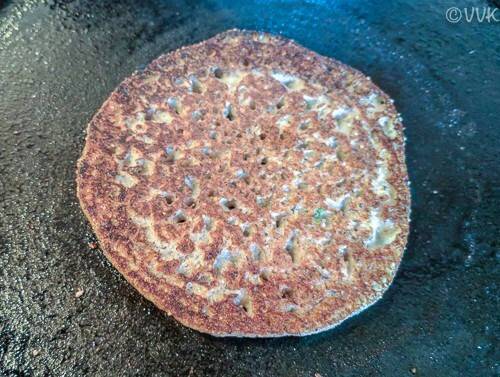 The primary flavoring agent in this dosai recipe is the black pepper and dry ginger powder or sukku. I don’t know the significance of dry ginger, but it is a necessary ingredient when it comes to Kallazhagar festivals in our family. I have explained about it in the sukku vellam post in detail. :-) Also, this dosai doesn’t require any fermentation. Now without any further ado, let me share how I made this Azhagar Kovil Dosai. The steps might sound lengthy, but if you have the rice flour ready, you can make it quite easily. 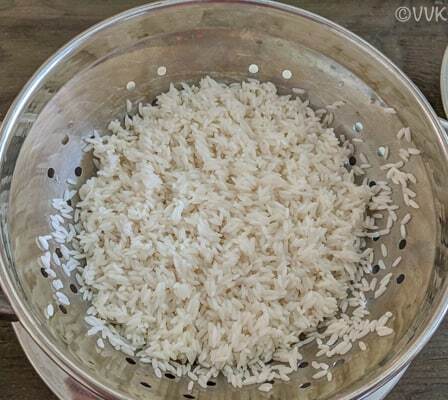 Wash and soak the raw rice for atleast 2 hours. Then drain the water thoroughly. And spread it on a cloth or paper towel. Keep it in the shade and allow it dry for about 40 minutes. 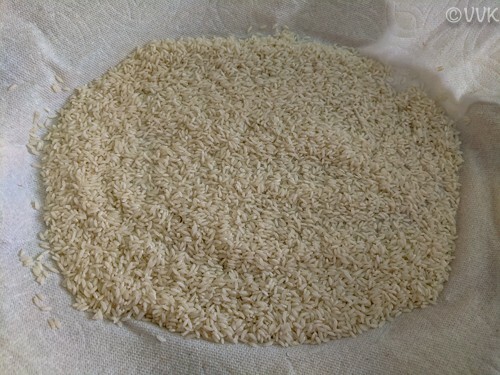 If using a paper towel, change the sheet and spread the rice in a new one around 20 minutes. The rice should be dry but you should feel the chillness, or it should have very light moisture. Now grind this rice into a rava consistency flour and set aside. You can prepare the rice flour well-ahead. Wash and soak the whole black urad dal for atleast 3 hours. 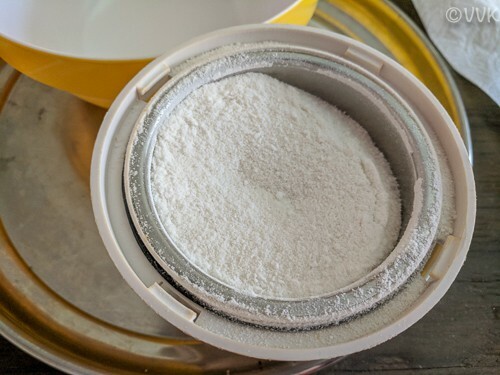 Drain the water and grind it into a smooth paste with the husk by adding 3 to 4 tbsps of water or as required. Do not make it too runny while grinding. Add 1/2 cup of water to the rice flour and mix it. Then add the urad dal batter and the remaining 1 cup of water and mix it. Bring it to the pouring dosa batter consistency. Slightly thick consistency will do good as well. Then add salt, dry ginger powder, black pepper powder, and curry leaves. Mix it thoroughly. 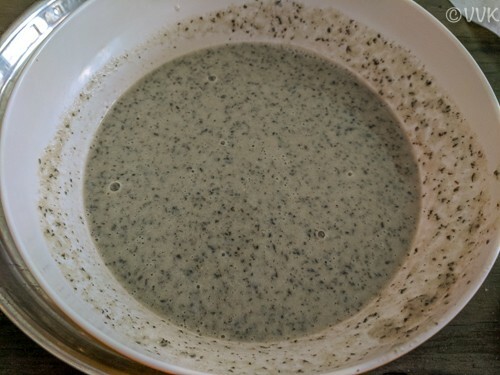 The Alagar Koyil Dosa batter is now ready. If the batter is too thin, add the rice flour to thicken it. If it’s too thick, add 1/4 to 1/3 cup of water. Heat the tawa or griddle. Once it is hot, pour a ladle full of batter and spread the oil/ghee around the edges. You don’t need to spread the batter. Allow it cook for 45 seconds to 1 minute and slowly flip it. Spread little more oil and allow it to cook for 45 seconds. And that’s it. The dosai is ready. 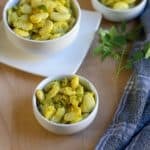 Serve it with your favorite chutney or sambar or podi. 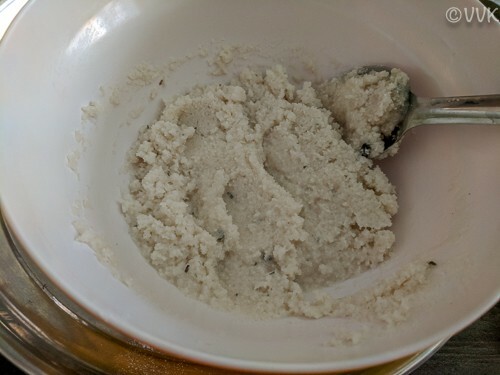 You can grind the raw rice and urad dal batter together and cook like regular dosa. But this is how I learned so went with that. The kovil dosai is slightly thick, but you can spread it and make it like regular dosai as well. Depending upon the quality of rice and urad dal, the water quantity might differ. So add as required little by little and adjust. Adjust the salt and pepper powder according to your taste. A generous amount of ghee is used while preparing the dosa, but you can use ghee or oil or a combination of both. 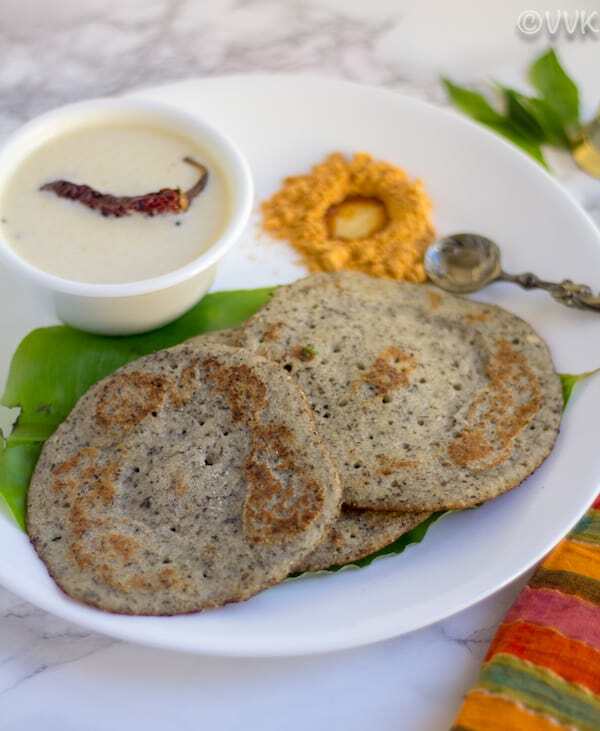 Azhagar Kovil Dosai - A popular savory crepe/dosai prepared with raw rice and black gram dal. Then drain the water thoroughly and spread it on a cloth or paper towel. Keep it in the shade and allow it dry for about 40 minutes. 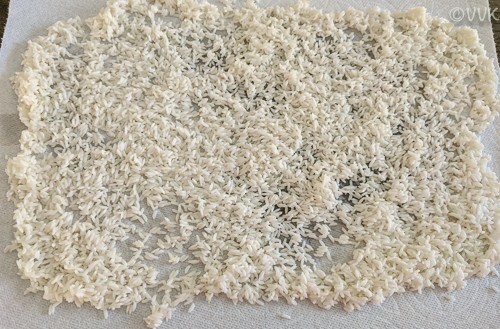 If using a paper towel, change the sheet and spread the rice in a new one around 20 minutes. 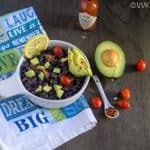 The rice should be dry but you should feel the chillness, or it should have very light moisture. Now grind this rice into a rava consistency flour and set aside. You can prepare the rice flour well-ahead. Then add salt, dry ginger powder, black pepper powder, and curry leaves. Mix it thoroughly. The Alagar Koyil Dosa batter is now ready. If the batter is too thin, add the rice flour to thicken it. If it's too thick, add 1/4 to 1/3 cup of water. Heat the tawa or griddle. Once it is hot, pour a ladle full of batter and spread the oil/ghee around the edges. 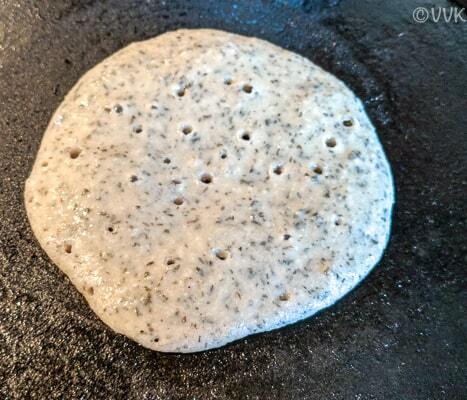 You don't need to spread the batter. And that's it. The dosai is ready. Super dosai. Easy step wise pictures to understand better. Do we need to ferment it? No we don’t need to ferment. I have updated the post with that info. Thanks for catching.